It’s no secret that a few hours with a dog will brighten just about anyone’s mood. When faced with wagging tails, sloppy kisses, and floppy ears it is hard not to smile. Pet Partners is an organization that has been around for 35 years and specializes in doing just that. This animal therapy non-profit got their start in researching the positive effects of animal companionship on human health before putting their findings to the test. Interacting with animals can help reduce blood pressure, lower anxiety, encourage exercise, and even stimulate the release of endorphins that make you feel good. Pet Partners connects people with animals to improve their lives both physically and emotionally. 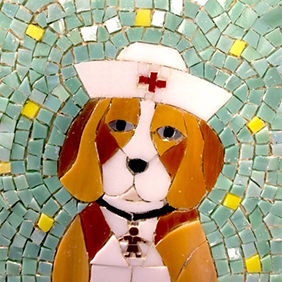 Many people think of therapy dogs visiting hospitals. However their roles include helping veterans with PTSD, Alzheimer’s patients, people with developmental disabilities and more. Three therapy dog handlers from Pet Partners share their stories of how their furry companions have touched not only the lives of the people they were trained to help, but their handlers as well. 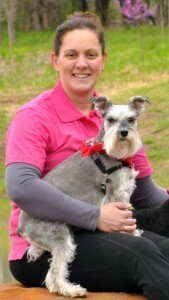 Kate Mize and her therapy dog, Goofy Bob, are from McKinney, Texas. Back in 2006, Kate and Goofy Bob proved how the compassion of animals can affect those around them. In Dallas Fort Worth, Texas a four-day event called Snowball Express was taking place. Snowball Express is designed to help children laugh and play after losing someone who has died while on active duty since the events of 9/11. The airport was crowded with people. An army veteran and wife of a fallen soldier became overwhelmed and began having a PTSD attack. Kate Mize noticed the woman curled up on the floor and jumped into action. Her therapy dogs, Goofy Bob and Samson, began comforting the woman, snuggling up to her. Through contact with the therapy dogs the woman was able to get her breathing back under control and relax. After the young woman had calmed down enough to move onto a bus, Mize was filled with emotion. “It amazes me every time I am able to see the physical calming that these special animals have with these people,” Mize said. In July of 2002, Susan Ribnick went to a Kinko’s to make some photocopies and came home with a new best friend. Solovino was 8 weeks old when she bought him for only $35 dollars, but his worth would be immeasurable. Ribnick decided to try pet therapy with Solovino and has logged over 1,000 hours in almost 10 years of working together. Out of all the people and places they have visited though, it was their last that had the greatest influence on her. One afternoon, Susan Ribnick received an odd phone call from the Director of Child Life in the Pediatric ICU of a hospital in Texas. They asked her if she could find an available therapy team to come to the hospital as soon as possible. 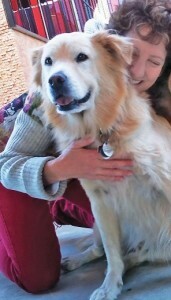 Marla Moore and her Pet Partner, Chance, live in Lakewood, Colorado. When they were making a visit to an oncology treatment room, a nurse pulled them aside and told them that one of the patients just found out his chemotherapy was not working. The nurse asked them to check on him and his family. Chance, amazingly, knew exactly which patient in a room full of people to go comfort. Chance pulled Moore over to the man who had received bad news, placing his head into the man’s lap. This immediately brought a smile to the patient’s face. 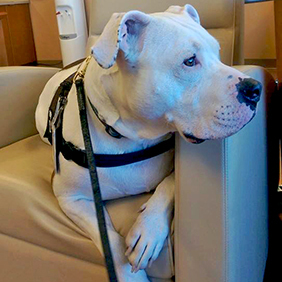 When the team was ready to leave, Chance decided he needed a little more time with this particular patient. Jumping up into the treatment chair next to the man, Chance filled the room with laughter. “Having Chance there, even briefly, to take away from the 7 hours the patient receives his chemo, lets me know that we are doing exactly what we are supposed to be doing in that moment. After spending time with this gentleman, I appreciate life, Chance, love, and hope,” said Moore.